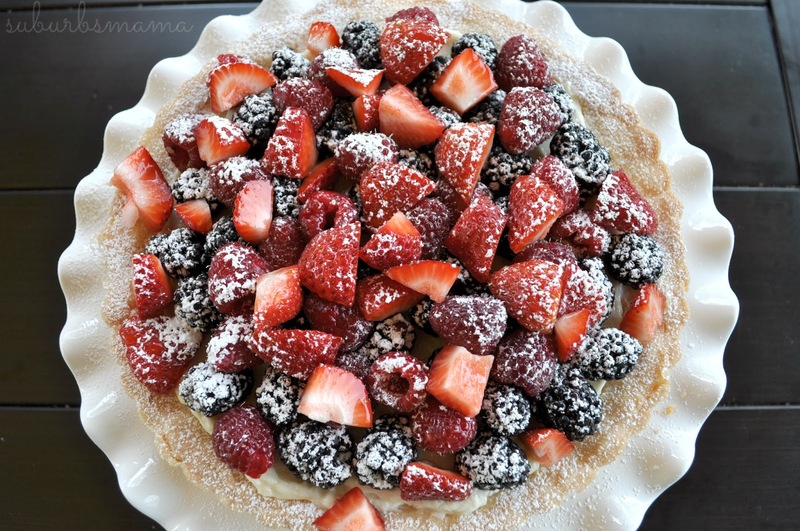 One of my all time favorite spring and summer desserts is a fruit tart. It is so simple to make and so delicious. I have tried a few recipes and this one is my favorite. Crust: Preheat oven to 350 degrees F.
browned. Let cool completely before filling. mixture into the cooled pie shell and spread evenly. 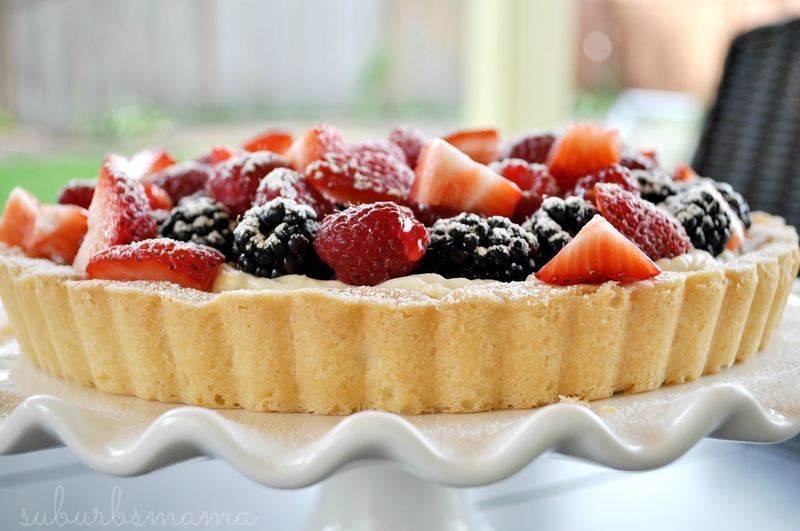 Top it with fresh berries. Sprinkle with powdered sugar is desired. I'm going to try this for a Mothers Day brunch I am hosting this weekend. Looks amazing! I'm with Erika- this would be perfect for a Mother's Day brunch. Looks delicious!